6oz. (175ml.) 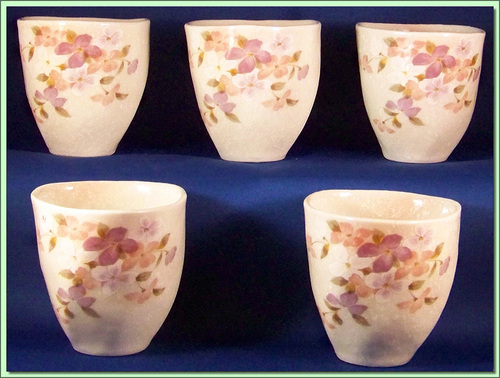 Special offer: Only 2 cups left - marked down from $42.99 Aside from their pink and white floral pattern on a shimmering white mottled high glazed background these cups are uniquely shaped as if they were hand made ceramic-fired especially for the kiln. A really attractive and unique gift set!